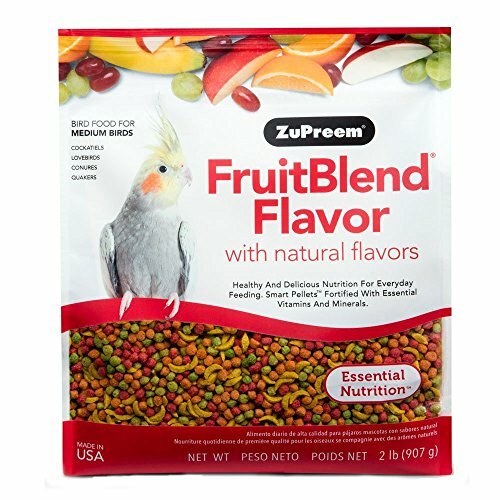 ZuPreem Avian Maintenance Fruit Blend Bird Diet for birds provides the balanced nutrition birds need every day to maintain good health. Five fruit shapes in five crazy colors deliver 21 vitamins and minerals in every bite. 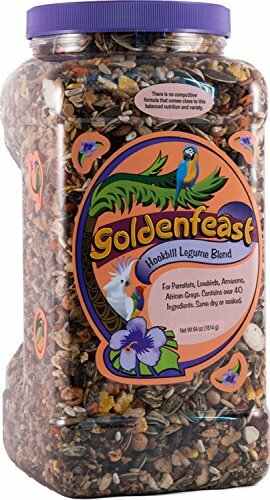 Fruity taste and aroma to delight your bird's senses. Named after the lost civilization that cherished and worshiped the native tropical birds of the south America. This diet brings together exotic, natural ingredients and holistic herbs to create a premium blend free of artificial colors. Mayan Harvest has three products specifically formulated for large hookbills. The tikal blend is typified by its natural colorful array of fruits and vegetables. Some of These include: almonds, roasted soybean, green peas, pumpkin seed, cantaloupe seed, coconut, chili peppers, blueberries, cranberries, juniper berries, Banana, raisins, beet dices, leeks, sweet potatoes, and many more. The herbs basil and chamomile flowers and bee Pollen are also added. Guaranteed Analysis - CRUDE protein (MIN.) 13.0%, CRUDE fat (MIN.) 14.0%, CRUDE fiber (MAX.) 8.0%, moisture (MAX.) 11.0%. 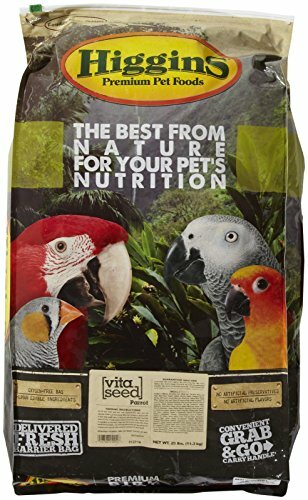 Higgins popular fortified, seed based diet is scientifically blended to meet your bird's vitamin, Mineral, amino acid, fiber, and digestive enzyme needs. An eye catching, premium mix that will attract even the finickiest of eaters. Diet includes: Jumbo and striped sunflowers, safflower, chili peppers, Banana chips, raisins, papaya and Pineapple chunks, Oyster shell, extruded pellets (vita krunch) and digestive cultures. Recommended by champion bird breeders and avian specialists. Guaranteed Analysis - CRUDE protein (MIN.) 15.0%, CRUDE fat (MIN.) 12.0%, CRUDE fiber (MAX.) 20.0%, moisture (MAX.) 12.0%. Named after the lost civilization that cherished and worshiped the native tropical birds of the South America. This diet brings together exotic, natural ingredients and holistic herbs to create a premium blend free of artificial colors. 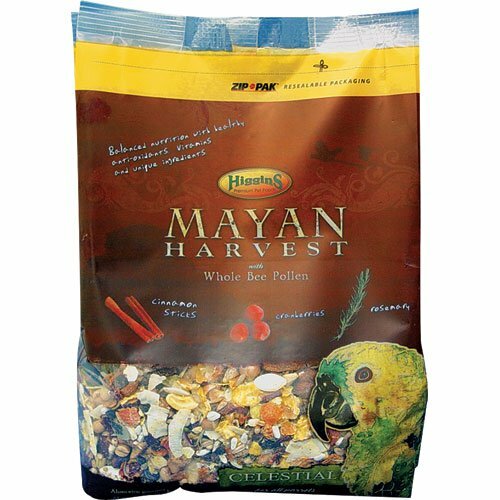 Mayan Harvest has three products specifically formulated for Large Hookbills. The Celestial Mix is typified by its whole cinnamon sticks which birds love to grasp and strip. Celestial also has such prime ingredients as: whole apricots, roasted soybean, roasted green split peas, roasted garbanzo beans, cherries, cranberries, Brazil nuts, sweet peppers, black beans, kidney beans and many more. The herbs rosemary and bee pollen are also added. Guaranteed Analysis - Crude Protein (Min. )14.0%, Crude Fat (Min. )15.0%, Crude Fiber (Max. )4.0%, Moisture (Max.)11.0%. Named after the lost civilization that cherished and worshiped the native tropical birds of the south america. This diet brings together exotic, natural ingredients and holistic herbs to create a premium blend free of artificial colors. Mayan harvest has three products specifically formulated for large hookbills. The tikal blend is typified by its natural colorful array of fruits and vegetables. Some of these include: almonds, roasted soybean, green peas, pumpkin seed, cantaloupe seed, coconut, chili peppers, blueberries, cranberries, juniper berries, banana, raisins, beet dices, leeks, sweet potatoes, and many more. The herbs basil and chamomile flowers and bee pollen are also added. 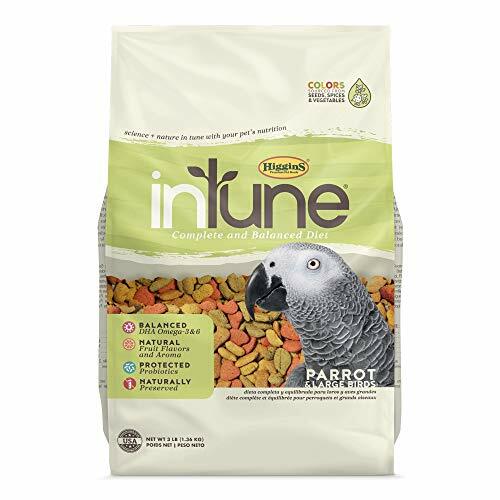 Serve your parrot a complete daily nutrition in tune with your bird's well-being. Delicious and irresistible natural pellet diet appeals to birds without artificial colors, flavors or preservatives. Guaranteed percentages of added vitamin and minerals PLUS encapsulated digestive probiotics help ensure companion birds receive the nutrients necessary for good health. No supplements are necessary! If fruits, nuts or other treats are provided, tey should be less than 10% of the diet. 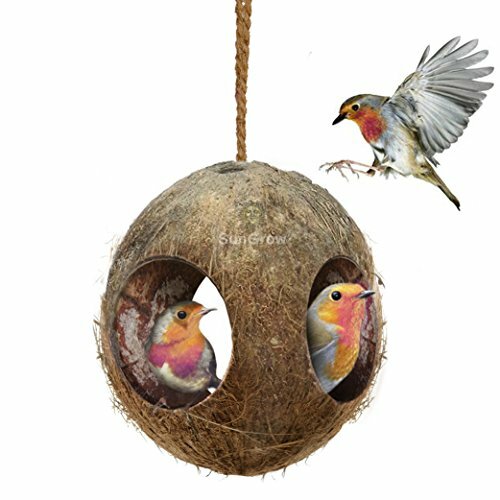 This will help ensure your pet bird will get the vitamins, minerals and other nutrients necessary for good health. Approx 1/2" pellets. 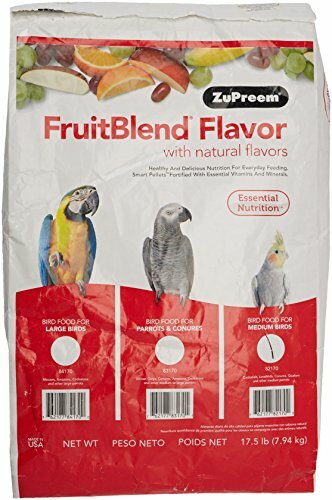 Fruit Blend Flavor with natural flavors provides healthy and delicious nutrition for everyday feeding for birds that prefer this pellet size. Fruit colors, shapes and flavors with the essential nutrients your bird needs every day for good health. 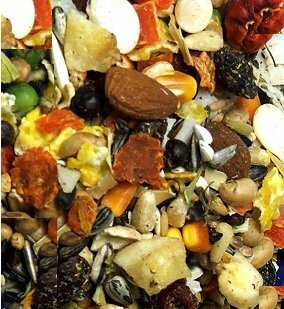 Harvest Seed & Supply No Waste Wild Bird Food, 10 lbs. 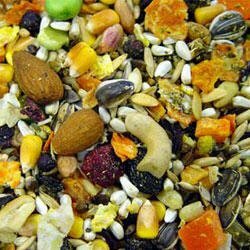 Harvest Seed & Supply Songbird Wild Bird Food, 10 lbs.